When I saw this book mentioned on Amazon’s “Best of 2013” list (a tad bit early) I decided to give it a try. Although it’s a gripping true crime story taken from recent news stories, I don’t think I’d ever heard of the people or events described. Kizzia wrote about the lives of the “Pilgrim” family (their chosen last name) while working for the Anchorage Daily News, so he is well acquainted with the story, the area and the local issues. The Pilgrim Family in New Mexico. 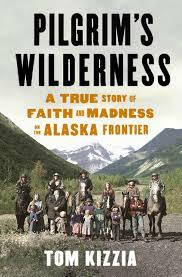 This is like a combination of Jon Krakauer’s books, “Into the Wild” or “Under the Banner of Heaven,” and a story not too distant from what happened at Waco, Texas with the Biblical overtones. Ruby Ridge was mentioned a couple times. But in addition it’s the story of an incredibly dysfunctional nuclear family whose soul reliance seems to be on their father’s interpretation of the Bible and his own messages from God. 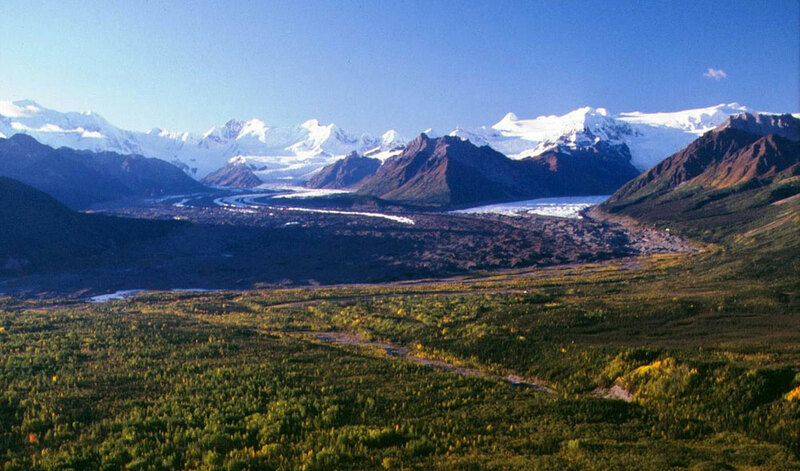 In Part 1 Kizzia follows the family history as they set up their “Hillbilly Heaven” in the Wrangell-St. Elias National Park area near the small settlement of McCarthy, Alaska. Then he follows the backstory to review the life of Robert Allen Hale, as “Papa Pilgrim” was born in Fort Worth, Texas. There Hale had a lot of serious troubles, left, met and married Kurina Bresler, moved to the Sangre de Cristo area of New Mexico where they lived for several years and had many children. 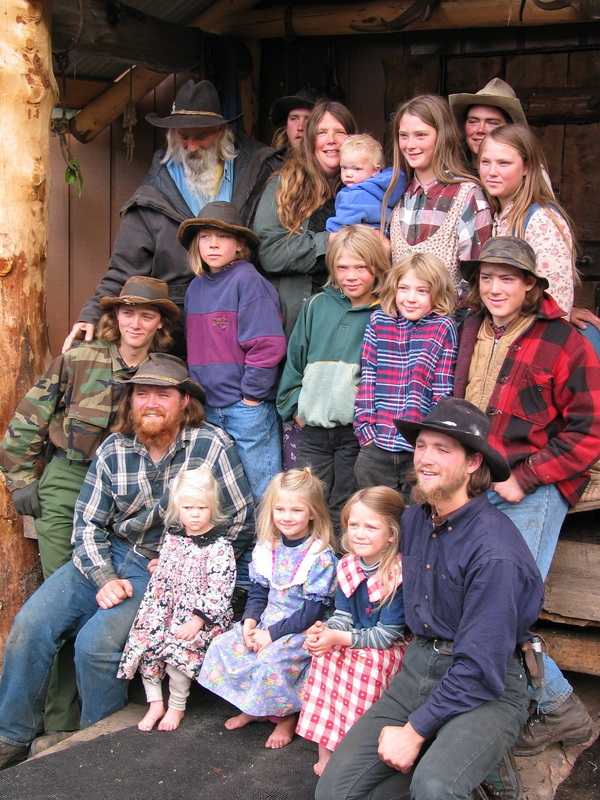 The family finally moved to Alaska in 1998 – when “Papa” as he was known then, was 57 and his wife 40 years old. “Papa” essentially went to war with the National Park Service, the tiny community had mixed feelings as many of them enjoyed the musically talented children and shared “Papa’s” attitudes about living away from government interference. Part 2 is where the story gets riveting as Kizzia continues the saga from his reporting days through very troubling times. There are growing suspicions and changing ideas on the part of the community and Papa seems to be getting more abusive and bizarre. Part 3 gets to a series of crises and legal action – these seem like logical breaks. Eventually the truth of this disturbed man and his family came out but it was all new to me and I avoided looking at any web-sites which might give anything away. I checked out several sites after I finished – had to! So I’m not going to go further here so as to let the story unfold for you, too. Kizzia does an admirable job of maintaining a professional distance from the situation – I didn’t sense any kind of bias for or against the Pilgrims or the National Park Service. Kizzia also knows how to build suspense while providing a lot of information about the other people involved. I very much enjoyed it and Fred Sanders added to the pleasure.